Shirley Ann McKenney was born in Washington, DC on March 3, 1935. Her parents Gertrude and Warner encouraged Shirley to attend church regularly and in July 1948 she gave her life to Christ under the leadership of Pastor Virgil Taylor at Parker Memorial Baptist Church. Shirley continued her dedication to Christ under the leadership of Pastor James D. Ross at Parker Memorial Baptist Church in Takoma Park, Maryland where she, her brother Paul and many cousins met regularly. It was a custom for the family to meet on Sunday evenings to have dinner at Grandma Mary’s house with the Pastor, aunts, uncle and cousins. Shirley attend Takoma Park Elementary and Takoma Park Middle Schools, as well as, Lincoln High School, where she was a Safety Officer and Valedictorian of her class. Shirley received her higher education at Carver College. 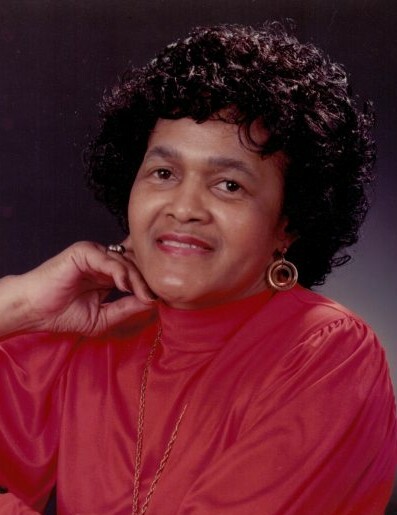 Shirley was a good student athlete and excelled in softball, basketball and track and field. Shirley, “Bones McKenney”, as she was affectionately called for her basketball talents in her younger years, contracted rheumatoid arthritis at an early age but continued to work and spend time with family. Shirley and many of her cousins were like brothers and sisters and spent much of their time together at Grandma Mary’s house and traveling between Washington, DC, Virginia and New York. Shirley had many one liners and loved to laugh with Theresa, Bobbie Jean and other cousins enjoying good food and dancing whenever possible. Many have said that Shirley had great skills on the dance floor. After her son Larry was born Shirley spent much of her time supporting and raising her overly active son. She carried Larry everywhere she went. Shirley was a “Fashion Diva” from an early age. Her passion for fashion eventually led her to buying and selling at DC headquartered department store chain Woodward & Lothrop. Before retiring she enjoyed running the Couture department. Shirley loved her job at Woodies and won many awards for her diligent work. She also loved the many people she worked with. They worked, dined and traveled across the country together putting their mark down for the retail giant. She continued to support her son in his school and athletic endeavors and later in his business quest. In February 1984, her husband, Warner passed away and Shirley and her mother, Trude became inseparable. Shirley always was a momma’s girl and she, Trude and longtime neighbor Florence Davenport, known as Ms. Lovey stayed on the move. If there were antiques, good food or a yard sale they were there. They ran hard! In her later years Shirley reconnected and enjoyed spending time talking with her Aunt Lillian “Bea” Brown. Bea was an educator, author, world traveler and the first black Principal in Maryland. In 1995 on Shirley’s birthday, Trude was laid to rest. Trude showed the family how to live with gusto and how to die with grace. Gertrude lived to be the oldest living member of Parker Memorial before she passed on in 1995. Shirley supported her son Larry at the grand opening of his business, LNM Retail and Office Building in Gaithersburg, Maryland the day of Trude’s burial. Shirley routinely contributed to the business by doing payroll, logistics and sometimes acting warden. Shirley didn’t like driving on the beltway and scared the a few of crew members from LNM that had the nerve to ask her for a ride home more than once. Some said Shirley drove faster on Georgia Avenue than her son Larry. Even with crippling arthritis Shirley’s strength and determination kept her moving along and ready to ride as a co-pilot with Larry. There was one defining moment when Larry landed the helicopter at the office and asked her to ride along to look at some property, she looked around and politely said, “thats alright you can go on” with a mothers look that said don’t you ever ask me this again. I guess every relationship has its limitations. Even after Shirley was stricken with dementia, she still served as co-pilot for many weekend adventures and business excursions Larry made. Shirley and Larry were able to spend amazing funny moments until the end. She is survived by her only son Larry McKenney and older brother Paul McKenney; two very beloved friends Melvin Jones and Christina Moschi and many dear cousins and friends.